Sleuths and Sweethearts is an OTRCAT.com original collection featuring our favorite old time radio detective couples. These gals and their dicks solve crime and try to keep their relationships intact despite the murders, robberies, and mayhem. It's not easy being a detective's wife, as Mrs Abbott puts it "After all, it's difficult to be romantic with your husband with another woman in the room--especially if the woman has just been murdered." 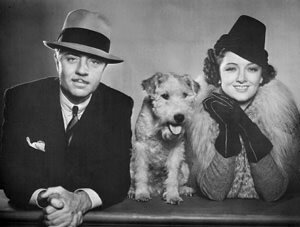 The quintessential old time radio detective couple is Nick and Nora Charles of The Thin Man with trusty terrier Asta. Most of the detective old time radio shows featuring husband andwife teams are more the softboiled detective type with light-hearted comedy and romance sprinkled throughout. Also see Dame Detectives, Softboiled Detectives, and Detective Collection. 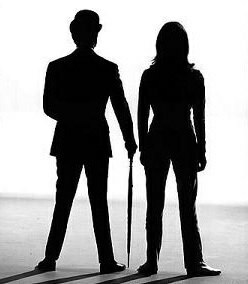 Be the first to comment on "Detective Couples (Sleuths and Sweethearts)"